But when the excitement wears down, you start to become aware of all the new terminology blogging opens up. You read about favicons, plugins, hyperlinks and long-tail keywords. And now, you’ve been hearing about landing pages. 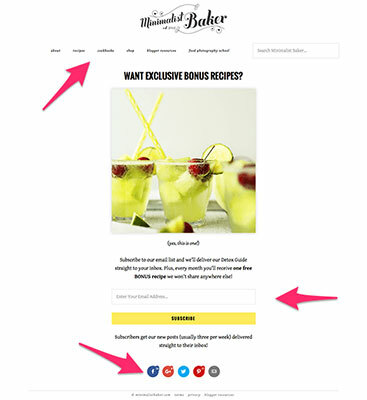 Do bloggers need to know about landing pages? 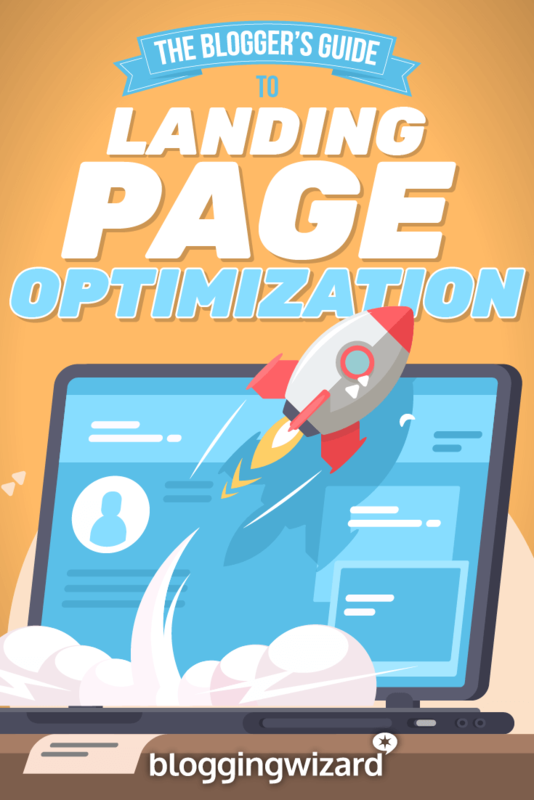 If you’re wondering what landing pages are and how to use them effectively on your site, I’m sure it’s been tough to find that information online. You know why? Because most of the information about landing pages is geared towards marketers and small businesses. You’re a blogger, not a marketer. Let’s look at what landing pages really are, the best practices when using them and some creation tools you – the blogger – should become familiar with. A landing page is the initial page – usually created with a purpose in mind – your visitor lands on after clicking on an ad, a link in an email, a call-to-action on social media, or many other sources. For example, Mary Fernandez, Content Marketing Manager over at OptinMonster, links her sign-up button on her Facebook business page to her landing page. This means that a visitor to her business page will see the sign-up button and may decide to click on it. 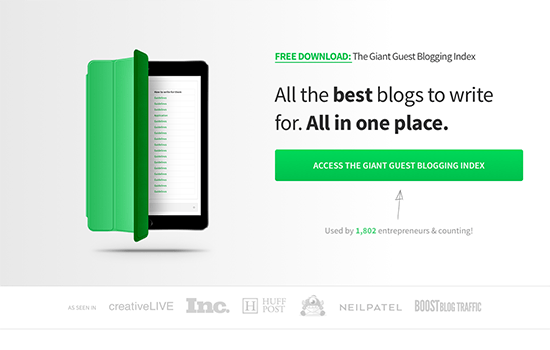 When they do, they are sent to Mary’s landing page to download The Giant Guest Blogging Index. People can also access your landing page simply by typing in a URL, and it’s sometimes a site’s homepage. Why are these examples considered landing pages? Because they only have one call-to-action. There isn’t anything to distract a visitor into going somewhere else. Typically though, there is another link to take a visitor to the blog. So, what’s so great about having a landing page on your site? According to Marketing Land, using a landing page for your email marketing can boost your conversion rates up to a whopping 50%. Why so high? The simple answer is that visitors have a limited amount of options to choose from. Studies have shown that when presented with too many options, people almost always freeze and don’t choose anything. But, if they are presented with only a few options, the chances of them making a choice is much higher – 900% higher. And it’s no different online. A visitor only has two options – get started and sign up to her list, or read her blog. If you have a product or course for sale, there’s no doubt that your email list can help you to increase sales. What bloggers and entrepreneurs are doing now is creating free courses that give subscribers a bite-sized chunk of their paid course. So, the free course becomes part of a sales funnel for the complete course. For example, Allison of Wonderlass has a landing page where visitors have a choice to either go to her blog or sign up for her free webinar. 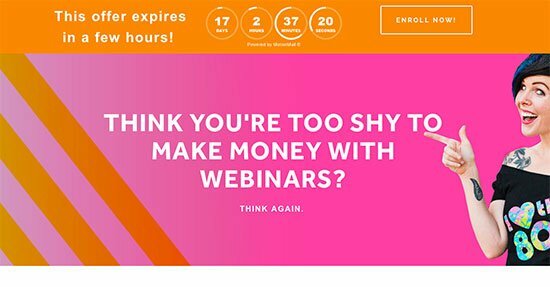 If you opt-in for the free webinar, you’ll eventually be notified of her new course about webinars. By doing this, Allison is growing her email list, which helps in converting her list into buyers down the road. 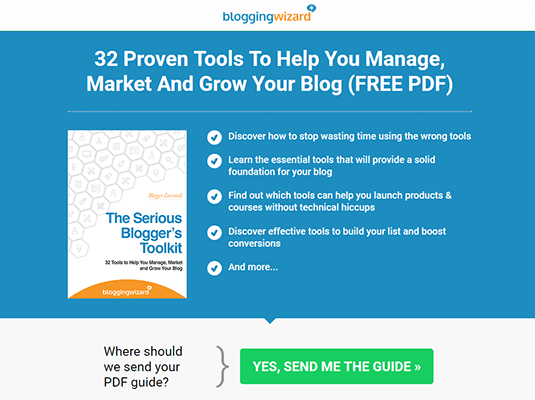 Typically, bloggers don’t have a landing page that takes visitors directly to their product. This method is better suited for small businesses and companies. 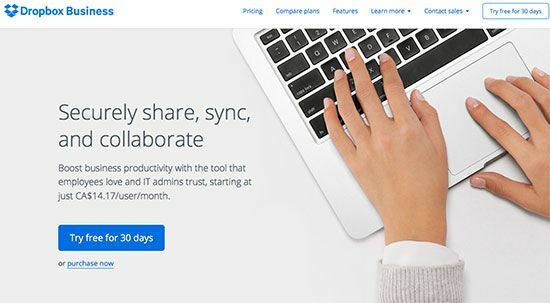 For example, Dropbox’s landing page gives you two options – take a trial or buy their product. Everything on that page directs a visitor to start a free trial, or make a purchase. And this is true even for their menu items – links on the menu primarily send a visitor to a page with these two options. Now that you’re excited about trying out a landing page for your blog, what are the best practices to generate a high conversion rate? While each landing page is created differently and used for different purposes, these best practices are a starting point to help you generate more subscribers and eventually, more sales. Important note: What works in one niche may not translate well into another niche, so keep that in mind when trying out these suggestions. Whether it’s a blog post, sales page, or landing page, the very first thing a visitor reads is the headline. You have less than twenty seconds to entice a reader to keep on reading. If your headline holds the attention and interest of the reader then you should have no problem engaging them with your offer. Removing distractions can actually increase your conversion rate by upwards of 28%. When you have too many distractions, it starts to compete with your main call-to-action. Your visitors won’t know what to click and may end up either bouncing, or visiting your blog or about page instead. So, what distractions should you remove on your landing page? 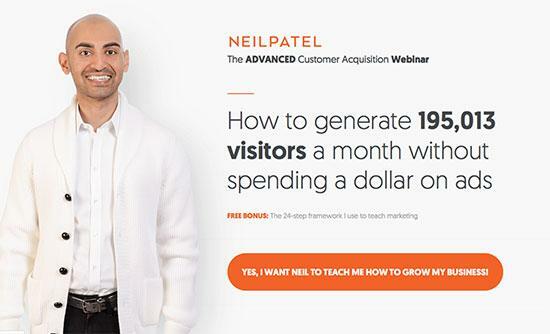 Having unnecessary information can kill your conversions fast. You may think it’s important to include everything you have to offer when people sign up to your list – such as the names of every download they’ll receive – but what you really need is concise copy that persuades. And that means highlighting the benefits, not the features (i.e. all the things you’ll get once you exchange your email address). 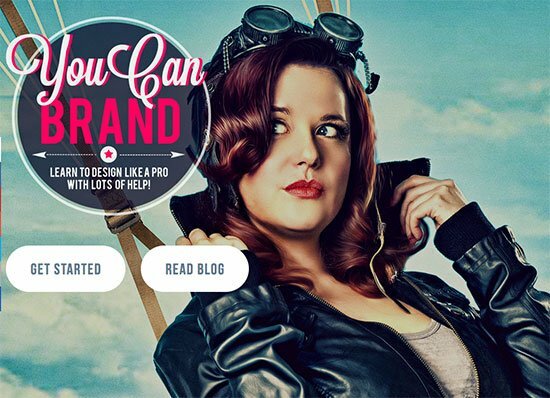 For example, take a look at mom blogger McKinzie Bean’s landing page for her lead magnet. 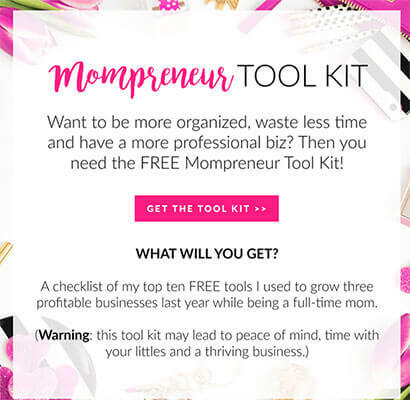 McKinzie has four sentences and half of these clearly outline the benefits of having her mompreneur tool kit. This might be difficult depending on your site’s theme and/or layout, but if you can, remove your menu. Your landing page is intended to convert and having any navigation weakens that conversion. By simply removing your menu, you can increase your conversions by 100%. Less choice = higher conversions for you. I know we’ve touched on this a bit with removing the navigation menu and talking about less choice, but having one goal for your landing page can’t be said enough. It’s worth noting that sometimes it might make sense to have more than one goal for a page. For example, if you’re creating a lead generation focused home page, it makes sense to have a button that takes visitors to your blog’s archive. This is technically two goals, but it’s essential so returning visitors can easily get to your blog posts. The bottom line is this: don’t ask your readers to do too many things. Generally speaking, the more options they have, the less likely they’ll be to make a choice. Having the right button copy on your landing page will help you convert more. But, be sure not to use the word, submit in your button copy. According to HubSpot, using anything but the word submit in your button copy converts better. So, what should you say in your call-to-action? If you change only one word, change the pronoun from your to my. Research has shown it can boost your clickthrough rate by up to 90%. For example, copywriter Henneke Duistermaat from Enchanting Marketing has a landing page for her free writing course and uses my instead of your in the button copy. As I mentioned before, what works in one niche may not work in another niche. For example, one of the best practices is to avoid using the word submit in your button copy. But, it’s not hurting entrepreneur Melyssa Griffin. She uses submit for some of her button copy, yet her subscriber list grows every day. Another best practice is to have only one call-to-action and to avoid having a menu. Well, the Minimalist Baker, Dana Shultz, has several calls-to-action and a menu on her landing page. But this doesn’t seem to be a problem for Dana. Her blog routinely brings in millions of visitors a month. And she has over 360k followers on Instagram. With this kind of popularity, we can only assume she also has a healthy email subscriber list, in spite of her landing page not following best practices. One thing bloggers may not think to do once they’ve designed their landing page and published it, is to start testing different variations. This is called split testing and it’s not something only marketers or small business owners do. Many landing page creation tools enable A/B testing, making it easy to set up variations of your landing page copy or design and have it randomized automatically. Based on the analyzed data you can make changes to boost your conversion rate. 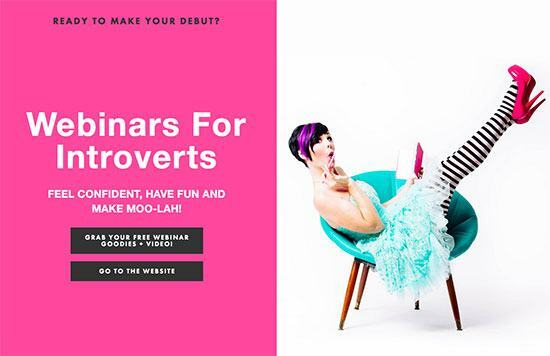 For example, Olivia Derby and Marissa Lawton split tested their landing page for a webinar. [It] took several revisions before we landed on a configuration that converted at a rate we were happy with. The page’s copy went through no less than 7 rounds of edits while it was live and what began converting at 2% finished out the campaign converting at 25%. Knowing that it’s important to test variations of your landing page, what sort of things should you test? Look at your headline and make sure it’s answering a specific problem or summarizes your offer. It might be a good idea to try out some headline tools if you seem to be stuck in a rut. Are you using action words? Look at your copy and see if you can add some high- conversion words. Sometimes having long copy can help with conversions – especially for sales pages. But maybe your long-winded write-up for your latest webinar isn’t appreciated and is making your visitors leave. Look at your copy and see if you can find ways to make it more concise, yet still be just as informative. See if changing the button color bumps up your conversions. HubSpot found that using red for their button color instead of green boosted their conversion rates by 21%. Thrive Architect is an affordable landing page plugin for WordPress users. With prices starting at $67 and with over 120 high-converting landing page layouts to choose from, you’ll have no trouble finding one suitable for your brand or business. And since this plugin doubles as a drag & drop page builder, you can also use it to create engaging layouts for any page or post on your WordPress website. Prices start at $67 for lifetime updates and 12 months support. 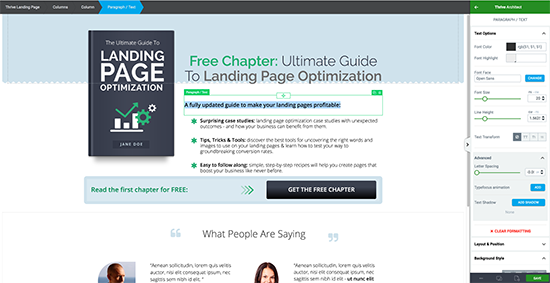 Leadpages is a tremendously popular landing page creation suite (and more). With mobile-friendly templates and easy to implement A/B testing and analytics, Leadpages can help you grow your email list quickly. And if you’re new to conversion rate optimization (CRO), Leadpages does all the legwork for you by sorting their templates so you can see which landing pages are the best for conversions. They do this by pooling data from across their customer base so you can be assured that whatever template you use will help convert your visitors. Your blog is your business, right? If you’re reading about the latest blogging tips to grow your traffic or email list, then there’s no doubt you want to eventually profit from your blog. To start on this path, having a landing page on your site will help build your list and eventually generate an income. While there are best practices to take heed of, it’s important to know that one size doesn’t fit all and you need to find what works for you. Best practices are just a starting point – they aren’t set in stone and there are definitely exceptions where it makes sense to avoid certain suggestions. To get started, invest in a landing page creation tool and implement A/B testing to maximize your landing page’s potential. Over to you – are you ready to try out landing pages for your blog?